The Patch is the seventh collection of essays by the nonfiction master, all published by Farrar, Straus and Giroux. It is divided into two parts. Part 1, “The Sporting Scene,” consists of pieces on fishing, football, golf, and lacrosse—from fly casting for chain pickerel in fall in New Hampshire to walking the linksland of St. Andrews at an Open Championship. Part 2, called “An Album Quilt,” is a montage of fragments of varying length from pieces done across the years that have never appeared in book form—occasional pieces, memorial pieces, reflections, reminiscences, and short items in various magazines including The New Yorker. They range from a visit to the Hershey chocolate factory to encounters with Oscar Hammerstein, Joan Baez, and Mount Denali. Emphatically, the author’s purpose was not merely to preserve things but to choose passages that might entertain contemporary readers. Starting with 250,000 words, he gradually threw out 75 percent of them, and randomly assembled the remaining fragments into “an album quilt.” Among other things, The Patch is a covert memoir. 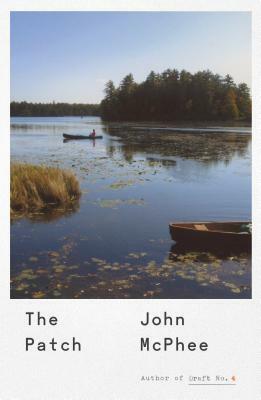 John McPhee was born in Princeton, New Jersey, and was educated at Princeton University and Cambridge University. His writing career began at Time magazine and led to his long association with The New Yorker, where he has been a staff writer since 1965. Also in 1965, he published his first book, A Sense of Where You Are, with Farrar, Straus and Giroux, and in the years since, he has written over 30 books, including Oranges (1967), Coming into the Country (1977), The Control of Nature (1989), The Founding Fish (2002), Uncommon Carriers (2007), and Silk Parachute (2011). Encounters with the Archdruid (1972) and The Curve of Binding Energy (1974) were nominated for National Book Awards in the category of science. McPhee received the Award in Literature from the Academy of Arts and Letters in 1977. In 1999, he was awarded the Pulitzer Prize for Annals of the Former World. He lives in Princeton, New Jersey.